I remember thinking about this as a kid. What would the world be like in 2015? It seemed like such an impossibly long time away. But here we go. It is the future. 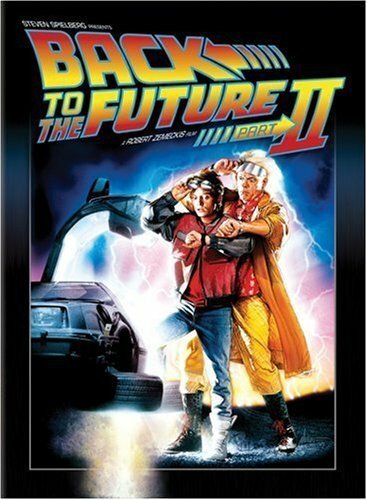 I’ve heard people complaining today that we still don’t have so many of the things BTTF2 predicted. I, on the other hand, think that the movie got an amazing number of things right, or nearly so. This video makes a pretty convincing case. And yes, BTTF2 totally called those 3D movies and our shark obsession. We’ve also got 3D printing that can replace amputated limbs. We’re working on using stem cells to grow new organs. We’ve got the internet at our fingertips, in which we can access the Swhole of human history instantly. Things that used to take us hours or days to research can now be done in minutes. And who needs flying cars? We’re working on cars that can drive themselves. So there’s no Pepsi Perfect, and that whole Hoverboard thing is kind of a disappointment. I think the reason we’re not as amazed today as we thought we’d be is because the future…is the present. In other words, if we had hopped into time machines 30 years ago like Marty did and traveled to 2015, it would look pretty friggin’ amazing. But of course we didn’t wake up this morning and suddenly get dazzled by wall-mounted TVs and Skype calls and tablets, because we’ve been living with them for years. They aren’t our future anymore. They are our present. Think about that. The future is now the present.